Parabellum's racing projects increase aerodynamic knowledge. Charly's Rifle/Yamaha on the way to 400mpg (now on display at the Smithsonian) Parabellum-faired Luftmeister fuel-injected turbo charged K100 went 199 mph. Parabellum-Faired Bub/S+S Tramp III went 239 mph. This is a pushrod twin with a single carburetor! 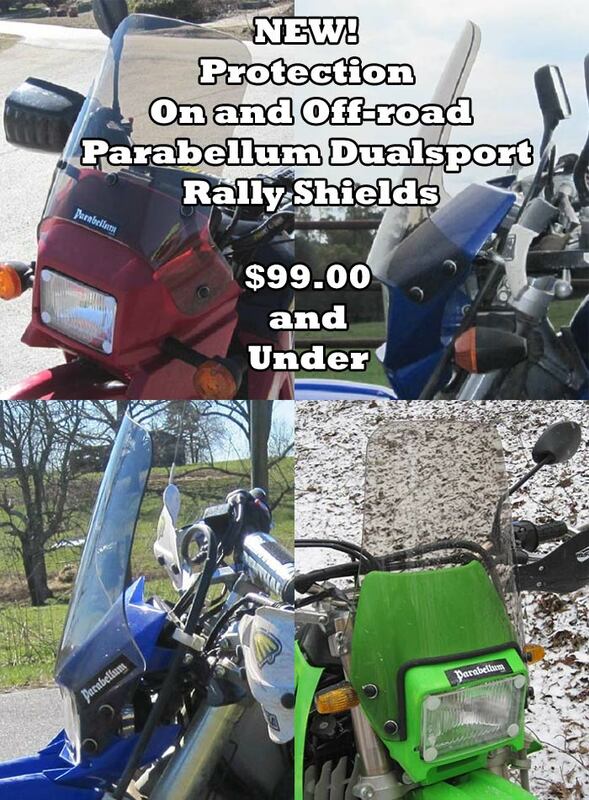 If you are local and have a new motorcycle and want a test windshield for it, contact us for details on becoming part of the Parabellum Testing/Development team. Some older models are needed also! FOR LOCAL RIDERS ONLY.